Seasoned professionals are matched with social-purpose organizations in high-impact, paid, limited duration positions. These Encore Fellows help the organizations build capacity, grow strategically and ultimately have a broader impact on their communities. Encore Fellows: Experienced, skilled professionals, matched with social-purpose organizations to complete high-impact assignments over a specified period of time (typically, 1,000 hours in 6 to12 months). Work Hosts: Social-purpose organizations that have identified areas where experienced talent could have an impact. 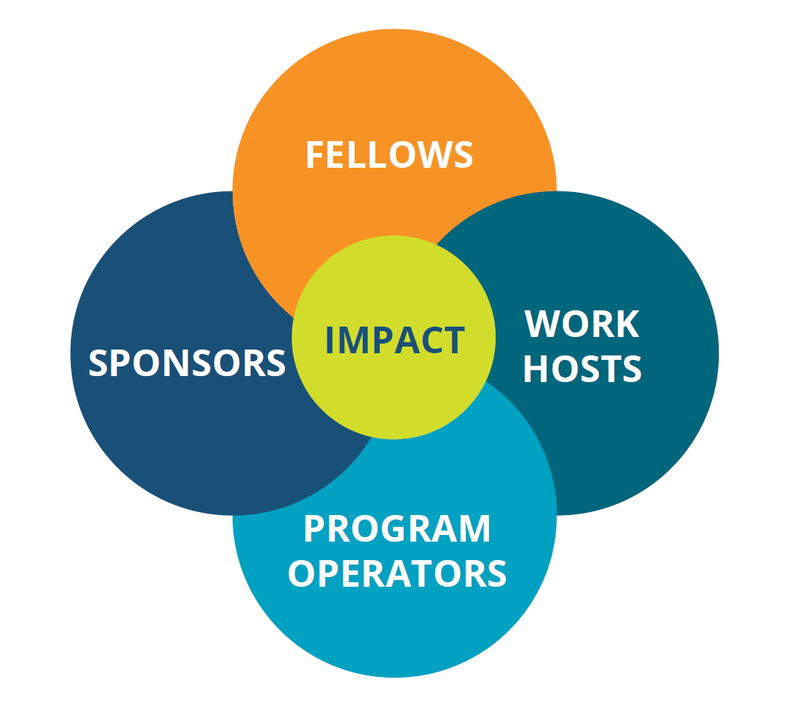 Program Operators: Creators of opportunity who match fellows with host organizations to achieve the greatest impact; and who provide professional development support for Encore Fellows. Funding Sponsors: Companies and foundations that provide financial support, demonstrating their commitment to valued long-term employees and to the local community. Since 2005 these components have been critical to the mission of the Center for Nonprofit Excellence at United Way of Central New Mexico. With greater needs than ever in central New Mexico and a wealth of talent and time emerging from Baby Boomers who are retiring from successful careers, the Central New Mexico Encore Fellowships Program will invest new resources in our community’s most promising nonprofit organizations. What is an Encore Fellow? Encore Fellows are seasoned private-sector professionals entering retirement who bring their professional expertise and passion for excellence to high-impact, high-priority projects to Central New Mexico nonprofits. Fellows take on roles that deliver significant, sustained impact to their nonprofit “host” organizations. During the Fellowship period, which is 1000 hours over 6-12 months, Fellows earn a stipend, learn about nonprofit work, and develop a new network of contacts and resources for the future. Encore Fellowships are designed to bring new sources of talent to organizations solving critical social problems. In paid, time-limited roles, fellows deliver a high impact project, learn about social purpose work and develop contacts and resources for the future. Nonprofit organizations can undertake a high-impact project or organizational priority and gain affordable, low-risk access to experienced, skilled talent as Fellows transition into the social sector. Retiring or retired professionals can create a flexible, experiential pathway to social-purpose work and make an immediate impact by using the skills and experience they already have. Businesses and other sponsors benefit in a variety of ways by increased employee, community and market engagement. Encore.org, along with a small number of innovative corporations and nonprofits, introduced the nationally recognized Encore Fellowship Program in 2009. In the intervening years, the program has grown dramatically to now include 35 metro areas around the US. The Center for Nonprofit Excellence serves as the Program Operator for Central New Mexico. Communities benefit from the impact of the Fellow’s work and future engagement in the social sector. Ready To Be a Nonprofit Work Host?